ItemA-02759 - The second Gorge Bridge, Victoria. ItemA-02761 - The Gorge, Victoria Arm, Victoria, Showing Third Bridge. ItemA-00936 - Victoria Transfer Company; the Tally Ho. ItemA-00940 - Kaslo; one of three; see A-00940, A-00941, F-00363. ItemA-00941 - Kaslo; one of three; see A-00940, A-00941, F-00363. ItemA-00945 - Funeral Procession, Victoria. 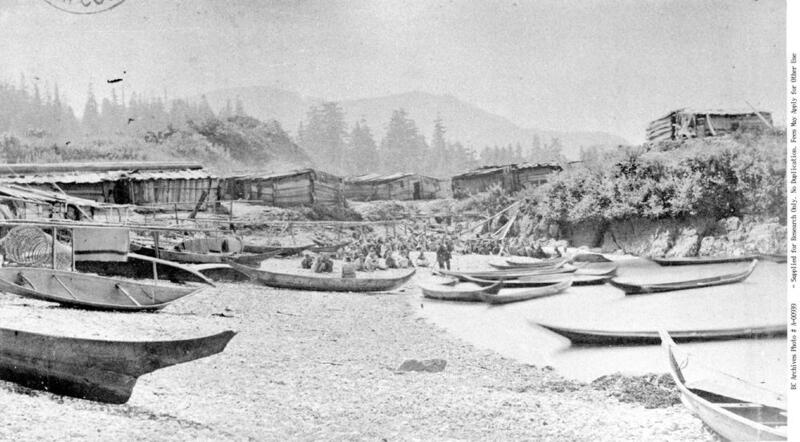 Item A-00939 - Quatsino Village.